On the 24th of October 2017, our close collaborator, the Centre for Spatial Data Infrastructures and Land Administration (CSDILA), launched the Urban Analytics Data Infrastructure (UADI) at the University of Melbourne. The Urban Analytics Data Infrastructure (UADI) was an Australian Research Council Linkage Infrastructure, Equipment and Facilities (ARC LIEF) funded project, which was developed in a collaboration between a consortium of six urban research centres across Australia to address lack of data integration and harmonisation issues and to develop a series of national data comparative tools. The UADI project has leveraged the collaborative utility and knowledge that has been developed through national and international initiatives such as Australian Urban Research Infrastructure Network (AURIN) to embark on a focused development of a spatial data infrastructure that responds to the specific requirements of multi-source, cross-domain and cross-jurisdictional urban analytics. 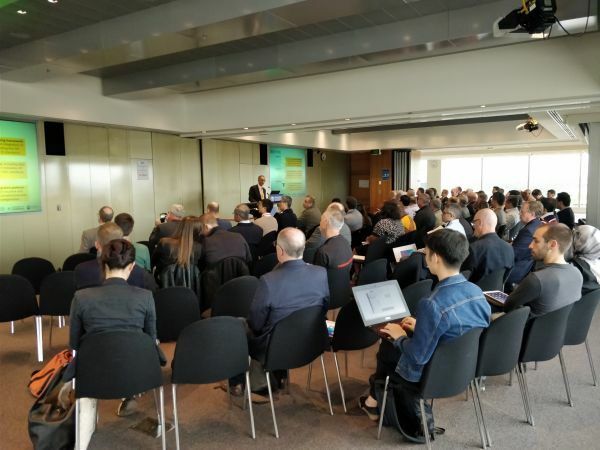 The launch event was attended by over 100 people that included representatives from academia, industry and government both nationally and internationally.